History Week 2015 was held in partnership with the Department of History, University of Malta, the Embassy of Spain in Malta and MASMOM with the support of the Janatha Stubbs Foundation, The ARDC Trust, and Heritage Malta. 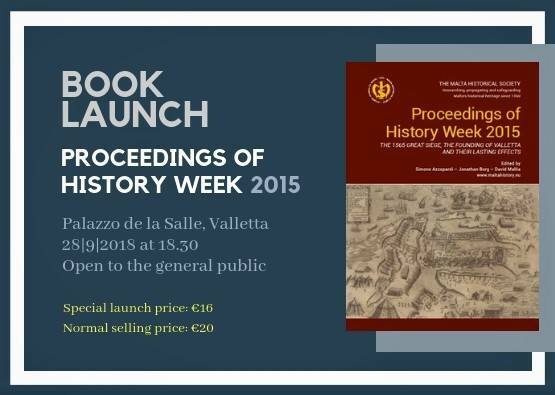 The Proceedings of History Week is part-funded by the Malta Book Fund 2015 of The National Book Council. Join us because it’s fun, but also to benefit from a price offer of €16 for launch purchases instead of the normal selling price of €20. See you at Palazzo de La Salle!